Just a 3-minute walk to the public beach in the Ba Keo area, Lamer Resort is situated amid a tropical landscape and offers simply furnished bungalows with free Wi-Fi.There is 1 person looking at this resort. Just steps away from the white sands of Long Beach, this resort offers red-brick bungalows with thatched roofs. Featuring a private terrace with sea or garden views, bungalows offer free Wi-Fi. There is 1 person looking at this resort. Featuring an outdoor pool and beautifully-landscaped gardens, Hong Bin Bungalow offers peaceful and comfortable accommodation with free WiFi access in the entire property. There is 1 person looking at this resort. Steps from the sandy shores of its private beach, Eden Resort Phu Quoc offers a tropical getaway on the beautiful Phu Quoc Island. There are 3 people looking at this resort. Boasting a private beach area with plenty sun lounges, Coral Bay Resort offers a 24-hour front desk and spacious bungalows with views of calming greenery.There is 1 person looking at this resort. Set amidst a tropical landscape, Phu Quoc Kim – Bungalow On The Beach features a spa and 2 dining options. Offering free Wi-Fi and parking, this property is just 2 km from Duong Dong Market. There are 2 people looking at this resort. 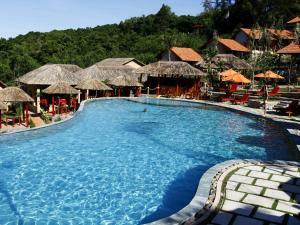 Featuring an outdoor swimming pool, Famiana Village is situated close to one of the hill areas in Cua Lap, offering tranquil accommodation surrounded with lush greeneries.There are 2 people looking at this resort. 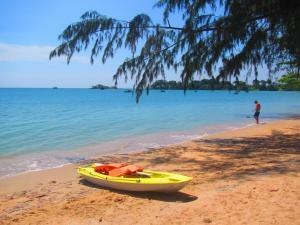 Paris Beach Resort is a charming sea-side property on Phu Quoc Island, about 7 minutes’ drive from Phu Quoc Airport. An outdoor pool, massage services and beach barbecues are available. Set amidst a tropical garden on Phu Quoc Island, the 4-star La Veranda Resort Phu Quoc – MGallery Collection is built like a French seaside mansion. There are 2 people looking at this resort. Featuring an outdoor pool facing the sea, Sea Sense Resort has suites and villas with a balcony offering direct sea views and free Wi-Fi access. 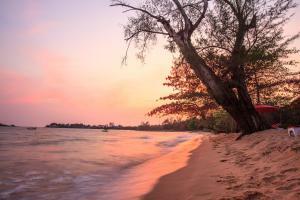 Peace and quiet can be enjoyed at Bamboo Cottages, located on a private beach on Vung Bau Bay, Phu Quoc Island. There is 1 person looking at this resort. 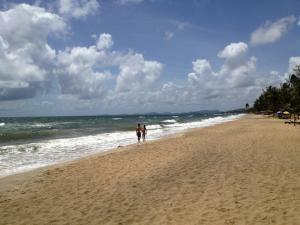 Enjoying a scenic spot on Phu Quoc Island, Chez Carole Resort boasts a private beachfront along Cua Cang Beach. There are 2 people looking at this resort. Featuring a private beach, Wild Beach Phu Quoc Resort offers a quiet environment and bungalows boasting sea views and equipped with free WiFi. It has its own restaurant and is located in Cua Can. 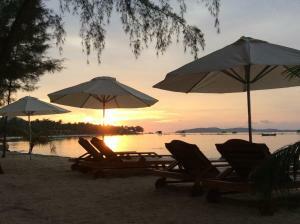 Offering a restaurant and a private beach area lined with sun loungers, Vung Bau Resort provides a relaxing get away. Running on solar power, Villa Cua Can lets guests experience the local lifestyle in a Vietnamese fishing village on Phu Quoc Island. 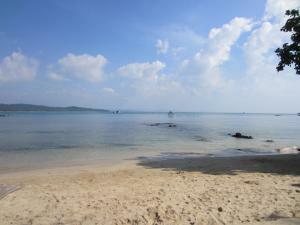 This property is situated right on Bai Dai private beach. It houses a Vietnamese restaurant and offers complimentary Wi-Fi access throughout its premises. 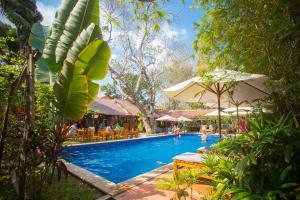 Pepper Farm Phu Quoc is located in Kiên An just 4 km from the National Park of Phu Quoc. 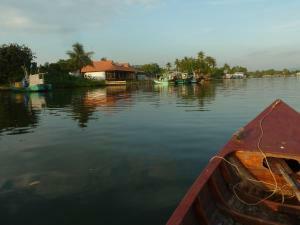 This pepper farm offers a simple and relaxing stay in the beautiful island. Offering an on-site restaurant serving sumptuous meals, Mia B&B offers accommodation at Ông Lang Beach. Guests from all walks of life will be given an array of room types to choose from. 1 person is looking at this bed and breakfast. Boasting an outdoor pool and a private beach area, Vinpearl Resort Phu Quoc features modern and luxurious accommodation with free WiFi access throughout the property. There is 1 person looking at this resort. With a beachfront and a garden with hammocks, Peppercorn Beach Resort is a small, family-run boutique resort located on the tranquil northern shores of Phu Quoc Island. 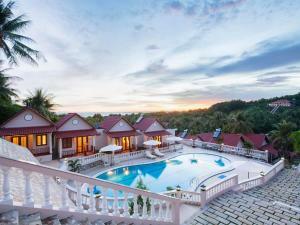 Situated along the shores of Ham Ninh Village, Kiki Coconut Beach Resort offers tranquil and comfortable accommodation with stunning views of the sea. 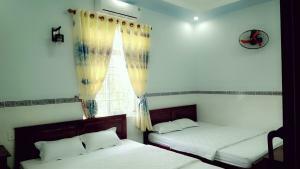 Offering free bikes and free WiFi access, Hai Anh Guesthouse is located in Ham Ninh. Rooms and clean and simply furnished. Free parking facilities are offered to those who drive. Nestled in Ham Ninh Fishing Village, Huu Thuy Guest House offers simple yet comfy accommodation with free WiFi access throughout the property. 1 person is looking at this guest house.